Mingus Mountain Law GroupMark A. Kille, Esq. Mark A. Kille (pronounced “Kelly”), born and raised in Kansas City, Missouri, is the oldest of six children. In 1996, Mark graduated from Truman State University in Kirksville, Missouri with a Bachelor of Science in Justice Systems. He started law school in the fall of 1998, receiving a Juris Doctor from the University of Missouri at Kansas City, Missouri in 2001. 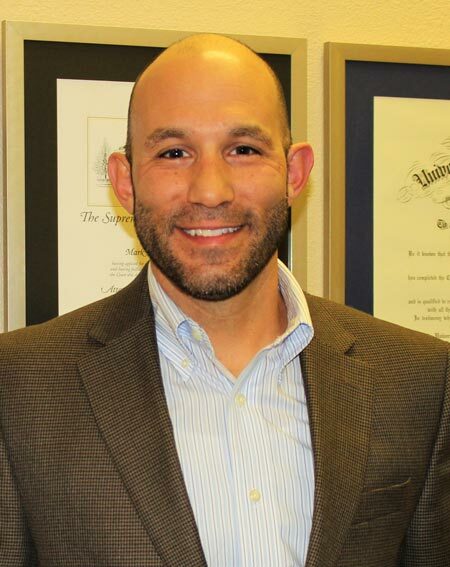 His first job as an attorney involved prosecuting claims under the Missouri Workers’ Compensation Statutes for employees who were injured on the job. In 2003, he accepted a position at a law firm housed inside historic Union Station in Kansas City which represented only injured railroad workers and their families under the Federal Employer’s Liability Act. In 2005, Mark moved his family from Independence, Missouri to Prescott Valley, Arizona, opening The Kille Law Firm, PLLC in 2006 without the luxury of having any clients. He quickly hit the streets networking, forming relationships throughout Northern Arizona, and growing his practice fast. In 2012, he partnered with another local injury attorney, Nicholas A. Moceri, forming Moceri & Kille, PLLC in 2012, which continued until 2015. Today, Mark owns and operates Mingus Mountain Law Group PLLC, continuing his tradition of exclusive representation of injury victims. He is experienced at all levels of litigation, including arbitration, mediation, and trial. Coming from a large family, Mark naturally treats each client like family, and is honored to serve those suffering from injury, relentlessly pursuing the compensation they deserve. Mark also believes in giving back to the community which has blessed him with employment opportunities. As a member of the Volunteer Attorney Program, he volunteers dozens of hours of his time per year providing legal guidance to those who are unable to afford an attorney. In 2008, Mark was the recipient of the 2007-2008 Yavapai County New Volunteer Attorney of the Year awarded by the Volunteer Attorney Program. In 2009, he was honored with the 2008-2009 Yavapai County Pro Bono Attorney of the Year award. He is a former member of the Board of Directors of the Prescott Habitat for Humanity, as well as Franklin Phonetic School. Presently, Mark is a board member of the Arizona Community Foundation and Another Journey, Inc. Mark is a Big Brother with Big Brothers Big Sisters and a foster parent. He also enjoys giving the Mingus Mountain Law Group Scholarship annually to a well deserving area senior with an interest in the legal profession. Mark is licensed to practice law in all state courts in Arizona and Missouri, as well as the United States District Court for the Western District of Missouri, the United States District Court for the District of Arizona, and the United States District Court for the District of Colorado. He is an active member of the Arizona Association for Justice, American Association for Justice, and the Yavapai Bar Association. 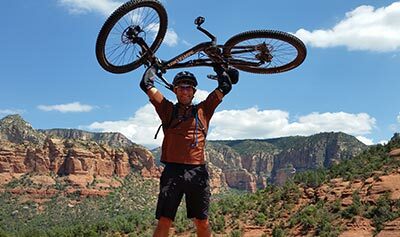 When not at the office or in court, Mark enjoys spending time with his family, hiking, biking or snowboarding the mountains and canyons of Arizona, including, yes, Mingus Mountain. At Mingus we represent victims of automobile collisions, dog attacks, nursing home abuse, slip/trip and falls, bad faith insurance, wrongful death, motorcycle collisions and other negligence actions. © 2018 Mingus Mountain Law Group PLLC. All Rights Reserved. Disclaimer.